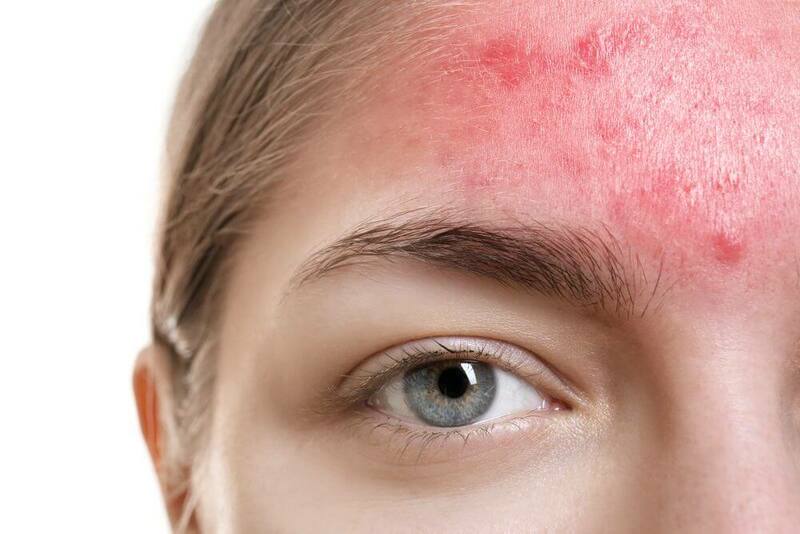 How To Treat Acne Rosacea? This is a common question asked by therapists. As April is Rosacea Awareness Month so the focus, naturally, is on how to treat Rosacea. Specifically we’d like to focus on raising education on how to treat Acne Rosacea. We want to help improve knowledge amongst all skincare professionals, Advanced Therapists and the medical community. To help empower everyone with a better understanding of how this condition can be effectively treated or prevented. We educate hundreds of advanced skin practitioners and have found this topic to be one of confusion for therapists and clients alike. The educational resources from the MB Institute are focused on taking a closer look at what happens behind the scenes in every day practice. We want to share practical advice with you that is simple to follow and help implement changes with. Learn more about our Advanced Peels Training. Am I Treating Acne or Rosacea? Question: When is Acne not Acne? As advanced skin practitioners offering treatment for acne it’s imperative we understand the answer to the above question. Both mis-diagnosis and a lack of understanding of the root causes will lead to disappointing results for the client. Without any resolve of the symptoms that have ravaged their once healthy and glowing skin. Clients will often enquire about acne treatment, as they perceive themselves as having “acne”. 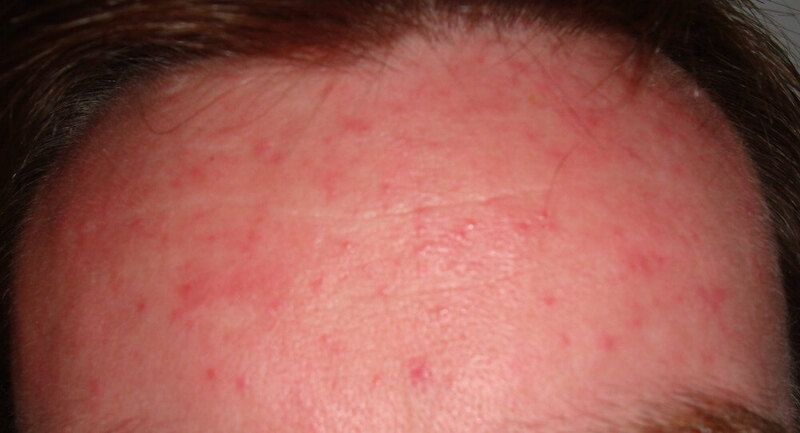 When in fact they have Rosacea Sub-Type 2 known as Papulopustular Rosacea, sometimes referred to as ‘Acne Rosacea‘. It is important to understand that although it has some similar characteristics to Acne, it is not the same as Acne Vulgaris. Rosacea has a very different development pathway to Acne. Therefore requires a very different approach to treatment. In fact, we encourage the correct use of the term Rosacea Sub-Type 2 or Papulopustular Rosacea, as opposed to Acne Rosacea. This helps to avoid any confusion between the two conditions. Both skin conditions are chronic inflammatory disorders. Acne Vulgaris is a chronic inflammatory disorder affecting the pilo-sebaceous unit (responsible for creating sebum) and hair follicle. It can be categorised by the presence of open and closed comedones, papules, pustules and cysts. either fluctuating or permanent diffused redness. broken capillaries known as Telangiectasia. an itching and burning sensation. 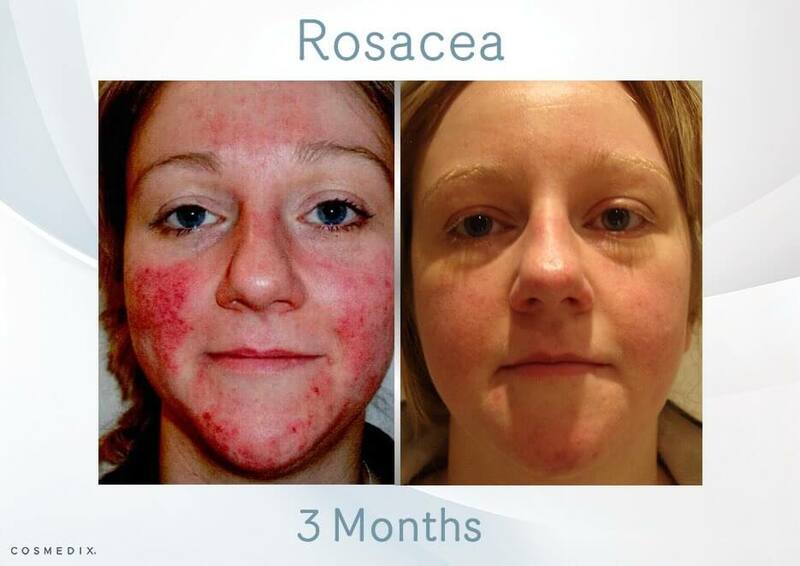 Rosacea can also affect the eyes and nose, causing facial disfigurement. The confusion between acne and rosacea is due to the fact that rosacea can also have papules and pustules present. Where the two conditions differ is that Rosacea won’t have any open or closed comedones. Remember, spots don’t equal acne. So don’t be mislead in your advanced skin consultation and analysis. Both acne and rosacea may have papules and pustules present. As advanced skin professionals it is important to understand the difference in development lifecycle. In Acne Vulgaris, the papule or pustule has developed as a result of a blockage (comedone) within the follicle. The p.acne bacteria thrive within an anaerobic environment. Enabling them to multiple. Feeding off excess sebum and breaking it down into fatty acids. These irritate and inflame the follicle wall lining, forming a papule. As the process continues, white blood cells migrate to the area to clear the infection, forming a pustule. In Papulopustular Rosacea Sub-Type 2, papules are formed as a result of vascular flushing and dilation. Over time the flushing causes the inflamed tissue to leak out of the blood vessels and deposit in the skin. The inflamed tissue cells slowly migrate to the skins surface causing the papule to form. Pustules are the result of vascular flushing that occurs around sebaceous glands or follicle. Now you understand the different development lifecycle pathways of papules and pustules. It is easy to understand why an Acne treatment that focuses on bacteria, would be infective to treat Acne Rosacea. At the Medico Beauty Institute we teach skincare professionals how to treat Acne Rosacea successfully using Metabolic Peels. Also how to treat Erythematotelangiectatic Rosacea Sub-Type 1. The key factors to treat Acne Rosacea are to reduce the inflammation, as this is the leading cause of the condition. Also to thicken and strengthen the skin, making it more resilient and less prone to flushing. We choose to use the CosMedix Benefit Peel within our treatment protocol. This treatment is suitable for all skin types and conditions, but especially great as a treatment for rosacea. Traditional acid-based peels can be too aggressive for sensitive skin and Rosacea. The Benefit Peel is acid-free and contains 10% encapsulated Retinol AGP complex plus 20% Vitamin C.
This ‘stimulation’ approach to chemical peeling, means that the stratum corneum is not compromised in the same way as an ‘exfoliation’ treatment. It is a much more gentle approach to peeling, which does not inflame an already compromised skin any further. The combination for Vitamin A + C have an antioxidant and anti-inflammatory benefit to the skin. As well as helping to boost collagen production, thickening and strengthening the skin. This makes it less prone to flushing. Vitamin A acts as a hormone within the skin, helping to regulate cell turnover; balance excessive sebum production and normalise melanocyte activity. Vitamin C is also essential for healthy collagen production and helps to strengthen blood capillaries. For best results we recommend a course of 3-6 treatments. With each treatment left on the skin for longer than the previous treatment for enhanced results. To treat Acne Rosacea we also recommend a treatment called the D-Tox Peel. This treatment is suitable for both Acne Vulgaris (all grades) and Rosacea Sub-Type 2. It contains a combination of Salicylic Acid, Retinol, Niacinamide and Zinc. Salicylic Acid is lipid-soluble Beta Hydroxy Acid, which helps to cut through any inflamed pustules that may be present. Salicylic Acid is also naturally anti-inflammatory. Plus the addition of Zinc helps to support skin immune function and aid healing. Take a look at this case study of a client treated with Benefit Peel and D-Tox Peel. We also teach practitioners about the benefits of incorporating light therapy in combination with metabolic peels. Prior to the peel, in the case of the D-Tox Peel OR over the top of the peel, in the case of the Benefit Peel. Because this treatment is acid-free it is safe to use with light therapy. Light therapy increases cellular activity, improving absorption of the active ingredients. We recommend Bioptron which uses polarized, polychromatic and incoherent light. Bioptron is clinically proven to help to activate cell growth, improve the body’s defence system and stimulates the healing processes. To ensure best results from treatment it is important to educate our clients on the use of corrective home care products. The home care products should contain the same active ingredients as the treatment. Just in smaller amounts. This is to help condition the skin prior to treatment. It is also important for post-care. Ensuring the client is not using anything that could potentially irritate or inflame the skin. Doing so would be detrimental to and compromise the results from treatment. An SLS-free gentle cleanser such as Benefit Clean. An anti-redness antioxidant serum such as CPR or REDuce. A Vitamin A treatment such as Serum 16. A broad spectrum physical sunscreen such as Hydrate+ SPF17 or Reflect SPF30. Additional items may include hydrators such as Mystic and an anti-inflammatory skin healing balm called Rescue+. Shop for skin care suitable for Rosacea. To learn more and train with the Medico Beauty Institute contact [email protected] or alternatively, if you’re looking for a Medico Beauty Certified practitioner use our Store Locator to find a professional.